Once our picking teams drop the grapes off at the winery, the science of wine-making really sets in. We now have three sets of harvested grapes – each picked off one of our soil types: the Broken Shale, the Quartzite and the Koffie Klip (or Iron Ferricrete). The grapes have been kept separate. But they’ve gone through the same steps. What are these? Well, once the grapes have cooled down in our cool room, it’s time for the stems to be removed from the fruit. Stems will give juice a ‘tannic taste’ – something you want to avoid. 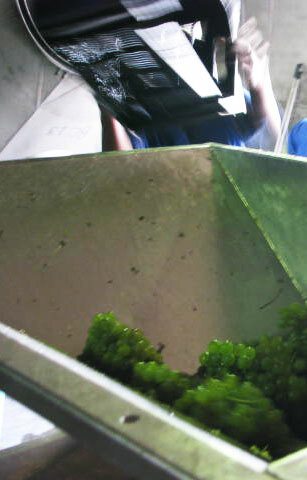 At the Black Oystercatcher, we put the grapes through our crusher and destemmer. So each berry is separated from the stem. Even here, we protect the flavours. 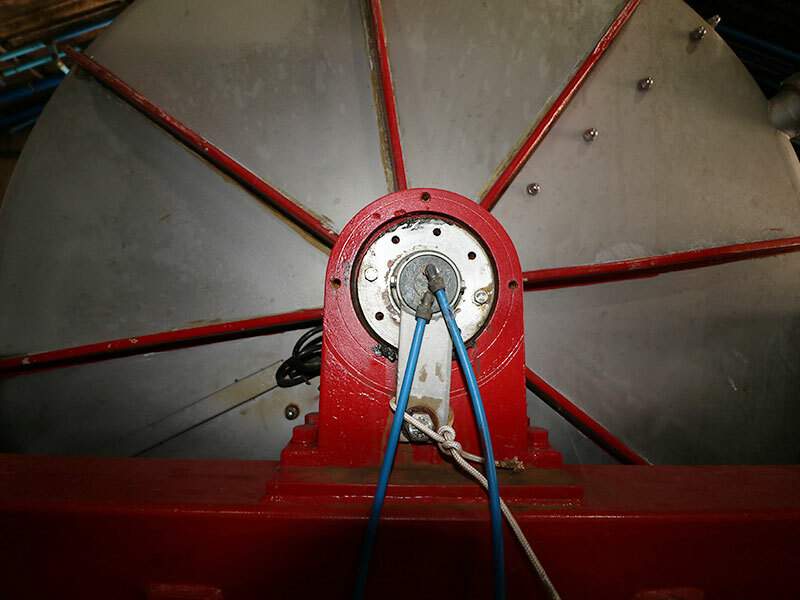 We do this by ensuring the entire process is cool and anaerobic. So the berries and juice never come into contact with oxygen. The berries and juice make their way to the press. 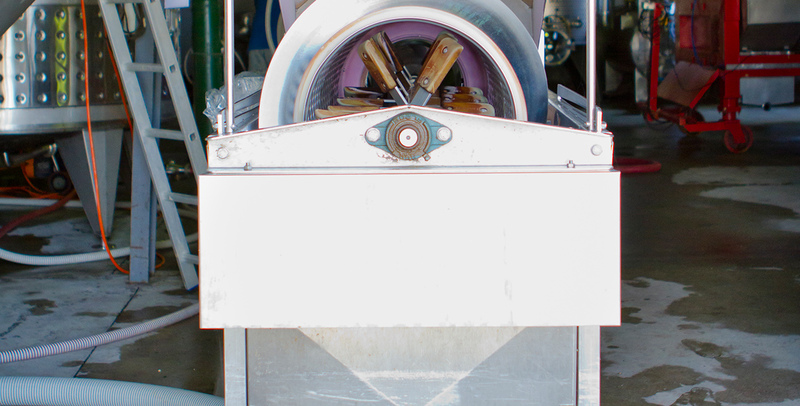 But before they reach the press, they move through what we call a mash cooler – which further cools the grapes and the juice. Press – Where we gently work our berries. Don’t let this technical step lose you. It’s actually really simple. It’s where we gently press all the remaining juice out of our berries. It’s done when a giant bag fills with air, squeezing the grapes. Now we’re left with just the juice. Once the juice makes its way into the tank, we let it rest. 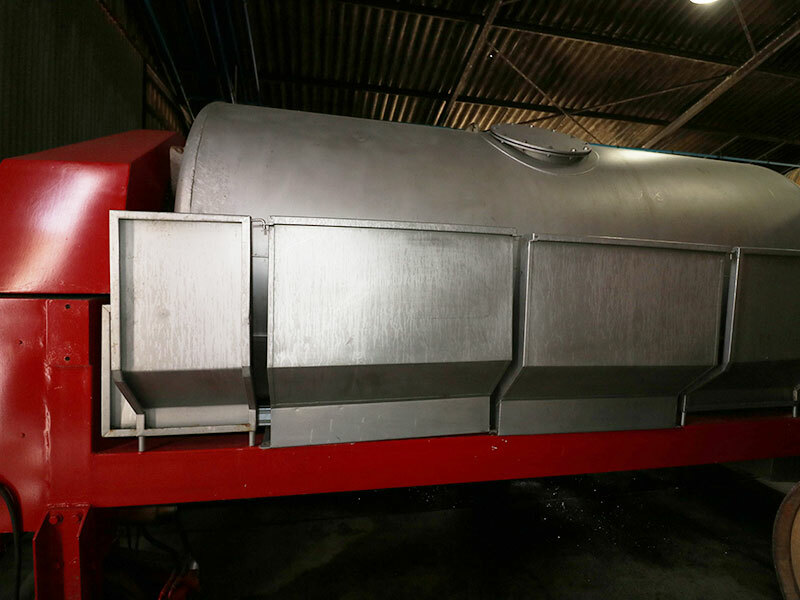 The solids slowly settle to the bottom of the tank, and the clear juice is separated from it, so that we can start the process of fermentation. Now Dirk, Willem Pietersen (our Assistant Winemaker) and the cellar team add yeast to the juice. Grape juice is filled with sugars. So Dirk adds yeast to reduce the sugar in the juice, as it transforms into ethanol and carbon dioxide. Want to see how the carbon dioxide bubbles out of the juice? Watch here. Day by day, the sugar content falls. But the winemaker needs to keep a close eye on the sugar levels and the temperature. 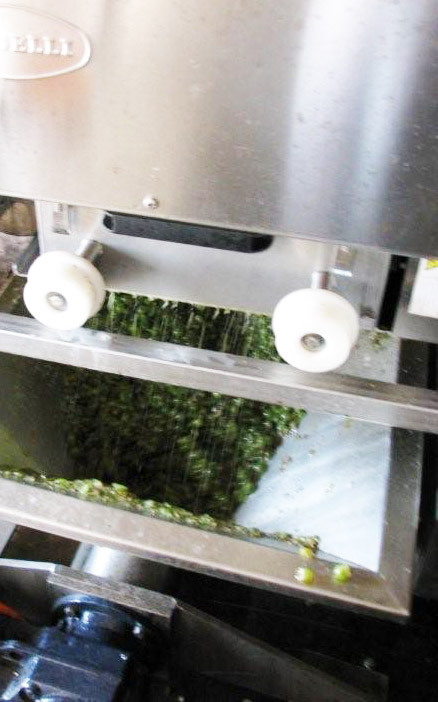 Lots can go wrong, and thousands of litres of juice can be lost during this process. The yeast helps to craft those unique flavours. Dirk is using cultured yeast on the three Sauvignon blancs. 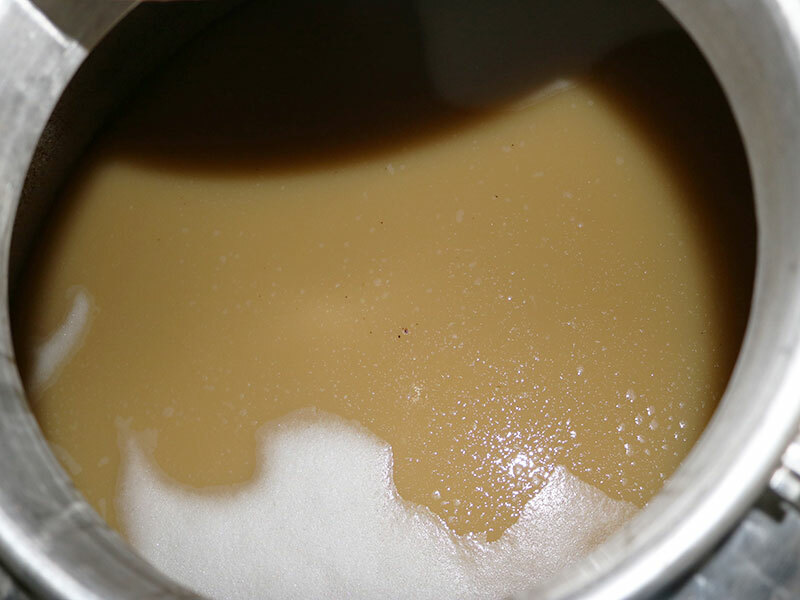 But in some instances, the winemaker may choose to let wild or ‘ambient’ yeast ferment the juice – yeast that is naturallly present in the grapes. There are advantages to this: wild yeast may produce spectacular flavours. But it’s also more risky – and the result is a lot less predictable. Dirk also produces a wine using only the wild yeast – called the Black Oystercatcher Wild Ferment. “Open the doors of the winery during harvest, and your senses are overloaded with the flavours of fermentation. As our three Sauvignon blancs go through fermentation, they taste and smell a little different each day. We’ll be sharing more soon.” says Dirk Human. Tickled by the science of winemaking? Think you could make your own wine? Take our wine-skill quiz, and see if you’re right. When a winemaker uses the word ‘must’, he or she is talking about? The smell of the wine as it ferments. 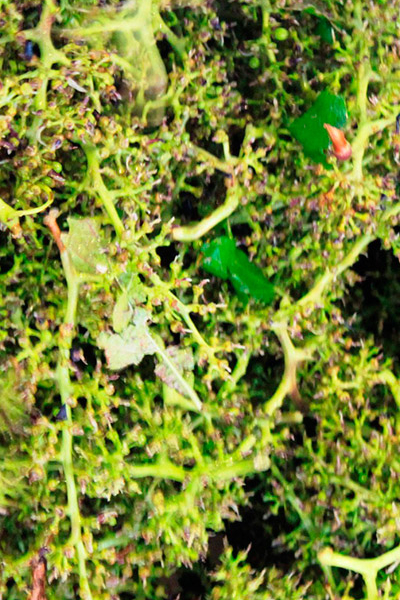 The microorganisms on the grapes. The pasteurized grape juice that has no alcohol. In white wine, the must refers to the fermenting grape juice. How do you measure the sugar level in wine grapes? The pH level indicates sugar levels. You use Brix to measure sugar levels. You measure the levels of carbon dioxide. You can’t measure the sugar level. Brix measures the sugar level in grapes, which in turn tells you the potential alcohol content of a wine. It’s actually quite simple: one gram of sugar turns into about half a gram of alcohol during fermentation. As the juice ferments, it gives off a gas. What is it? Our cellar team adds yeast to the grape juice – and during this process, the sugar is transformed into carbon dioxide and ethanol. 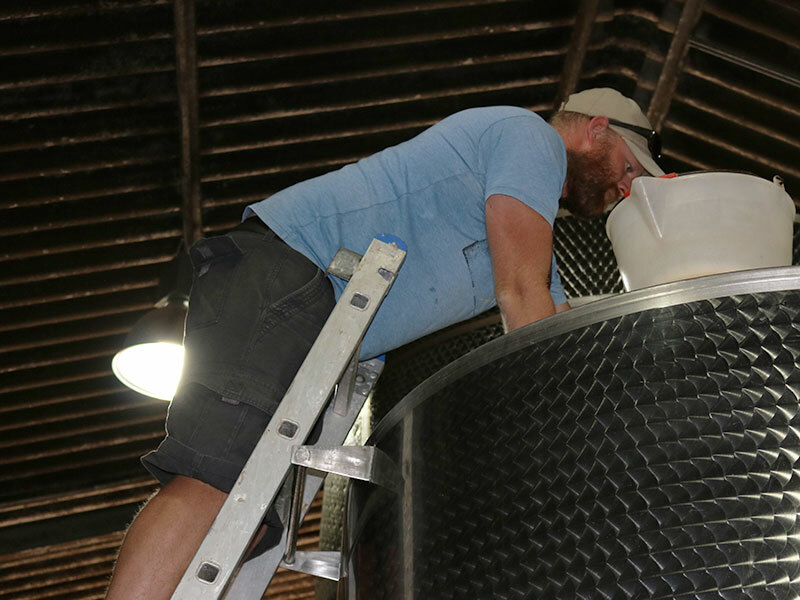 True or False: Once Dirk adds the yeast to the grape juice for the first time, it’s time to relax. Once Dirk and the team add the yeast, they have to watch the sugar levels and the temperature closely, and continue to add ‘food’ to the juice when it’s needed, or they could lose thousands of litres. 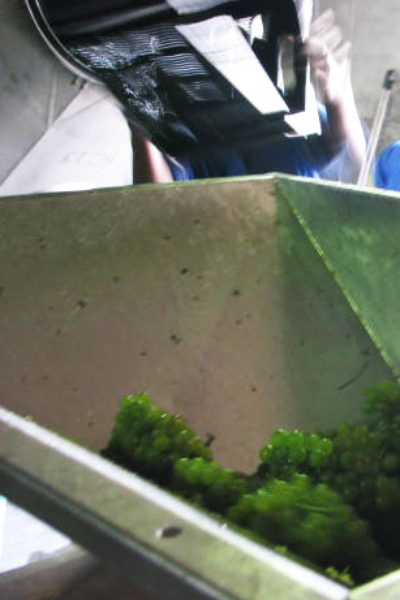 How long will it take for the Black Oystercatcher Sauvignon Blanc to ferment until dry? In fact it takes about 3 weeks to ferment the wine until dry. This can be quicker if the juice is fermented in barrels (as opposed to tanks, where cooling can be applied more effectively). We’re making 3 wines off 3 soil types. Is the following statement true or false: Dirk knows exactly how each wine will turn out, even now as the wine ferments. It’s impossible to know how a wine will taste before it’s finally bottled, and has rested in the bottles for a few months too. Dirk’s very excited to see how the soil types capture the flavours and create the complexity. We hope you are too. Oops – maybe you’re not quite ready to start your own wine business yet. But not to worry, we’re here to give you insights into winemaking, as we test making 3 different wines off 3 soil types. So stay tuned to our journey to learn more. Want to dazzle friends at your next party – as a wine boff? It’s a cool party trick. And we’ve got the in. Just join Dirk on his personal winemaking journey – by signing up as a Black Oystercatcher Wine Club member. You’ve still got a bit to learn about winemaking. But that’s why we’re here: we’re giving some insights into the science behind making wine. And hopefully you’re having fun learning about the Secrets of Sauvignon. Want to dazzle friends at your next party – as a wine boff? It’s a cool party trick. And we’ve got the in. Just join Dirk on his personal winemaking journey – by signing up as a Black Oystercatcher Wine Club member. Not too bad. You’ve got the basics, clearly. But we can help you improve that – if you’re keen. How? By sharing more of our Secrets of Sauvignon with you. So dazzle friends at your next party – as a wine boff. It’s a cool party trick. And we’ve got the in. Just join Dirk on his personal winemaking journey – by signing up as a Black Oystercatcher Wine Club member. 50% - not bad at all. Either you have some winemaking skill (or you had some lucky guesses). We hope you’ve had fun learning a bit more about winemaking at the cool tip of Africa so far. Now – step it up a notch. Dazzle friends at your next party – as a wine boff. It’s a cool party trick. And we’ve got the in. Just join Dirk on his personal winemaking journey – by signing up as a Black Oystercatcher Wine Club member. Wow, you’ve got some serious winemaking knowledge. Well done. Now – make it 100%. How? Well, we’ve got the in. Just join Dirk on his personal winemaking journey – by signing up as a Black Oystercatcher Wine Club member. That’ll give you new, deeper insight into the Secrets of Sauvignon (and a range of other fantastic winemaking tips). Fantastic – well done. You clearly know your winemaking science. So, as a winemaking expert, we’ve got the in for you. It’s an obvious next step, to connect you to a club of like-minded winemaking boffs. And of course to Dirk, as he heads out on his winemaking journey. Just sign up as a Black Oystercatcher Wine Club member to find your winemaking family. 100%. Amazing. Are you perhaps a winemaker? If not, well – perhaps it’s time to rethink your career. Our grape juice has been through the process of fermentation, and has been converted into wine. Now it’s ready to be matured in the barrel.